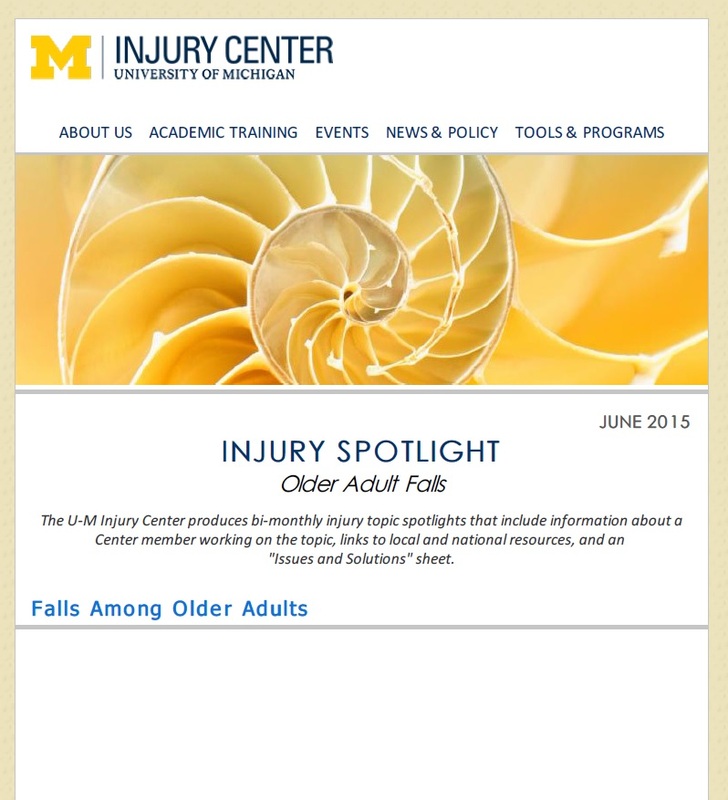 The U-M Injury Prevention Center has an increasing level of research focus and expertise in older adult falls. 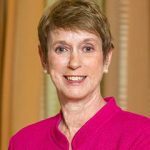 According to the Centers for Disease Control and Prevention, falls are the leading cause of both fatal and nonfatal injuries among older adults aged 65 or older. 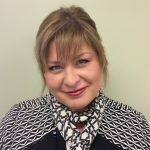 From funded exploratory studies to educational events, we are working to find ways to prevent older adult falls. Below you’ll find links to more information about our work in this area, as well as a listing of members doing work or interested in this area. We invite you to explore and join us as we move forward to advance research and prevention. 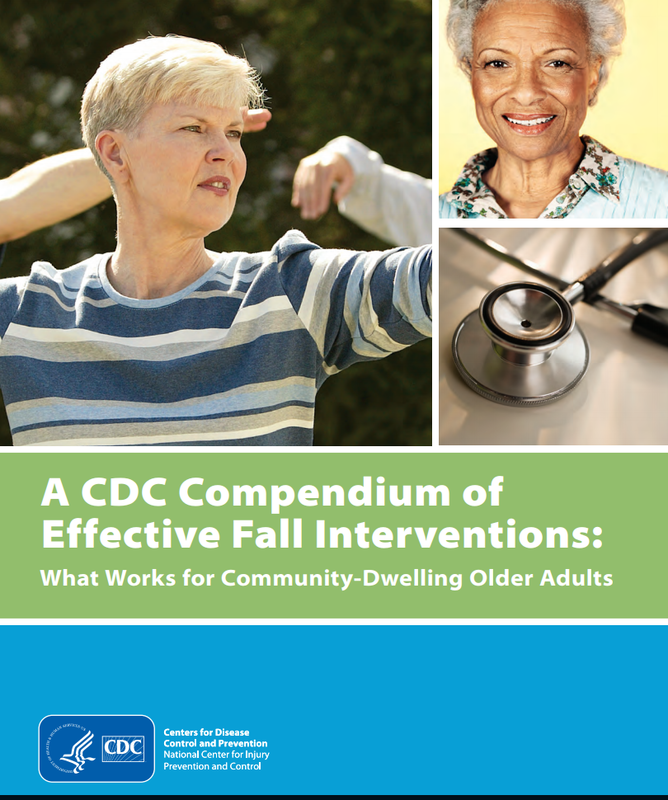 This compendium of interventions is designed for public health practitioners and community-based organizations, to help them address the problem of falls among older adults. It describes 22 scientifically tested and proven interventions, and provides relevant details about these interventions for organizations who want to implement fall prevention programs. CDC’s Injury Center created the STEADI Tool Kit for health care providers who see older adults in their practice who are at risk of falling or who may have fallen in the past. The STEADI Tool Kit gives health care providers the information and tools they need to assess and address their older patients’ fall risk. Aviles J, Allin LJ, Alexander NB, Van Mullekom J, Nussbaum MA, Madigan ML. Comparison of treadmill trip-like training versus Tai Chi to improve reactive balance among independent older adult residents of senior housing: a pilot controlled trial. J Gerontol A Biol Sci Med Sci. 2019. doi: 10.1093/gerona/glz018. PMID: 30668636. Shuman CJ, Montie M, Hoffman GJ, Powers KE, Doettl S, Anderson CA, Titler MG. Older adults’ perceptions of their fall risk and prevention strategies after transitioning from hospital to home. 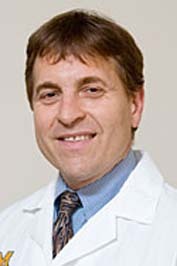 J Gerontol Nurs. 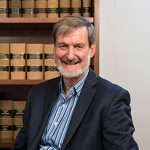 2019;45(1):23-30. PMID: 30653234. Twardzik E, Duchowny K, Gallagher A, Alexander N, Strasburg D, Colabianchi N, Clarke P. What features of the built environment matter most for mobility? Using wearable sensors to capture real-time outdoor environment demand on gait performance. Gait Posture. 2018;68:437-442. PMID: 30594872. 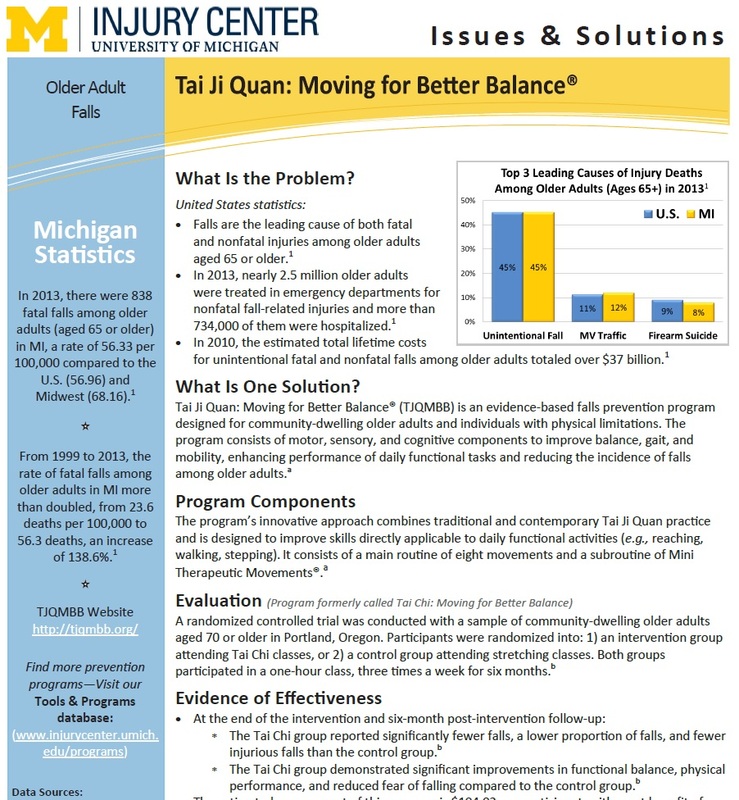 This document highlights an evidence-based falls prevention program (Tai Ji Quan: Moving for Better Balance®) designed for community-dwelling older adults and individuals with physical limitations. 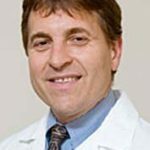 This handout provides statistics on falls among older adults, a member profile on Dr. James A. Ashton-Miller, and state and national older adult fall prevention resources. 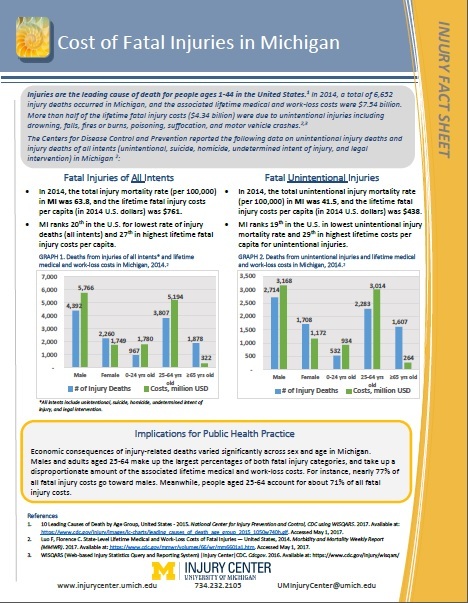 This document describes the cost of fatal injuries in Michigan and the implications for public health practice. 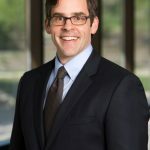 The U-M Injury Prevention Center has funded current and past injury research projects focusing on the prevention of older adult falls. Peruse the projects listed below. Please click on a faculty/practitioner’s name to access their full profile with research interests and funded projects.